Dani Garcia's Fabled Cuisine on the Costa del Sol: Once Upon a Time Menu for a Few More Weeks! 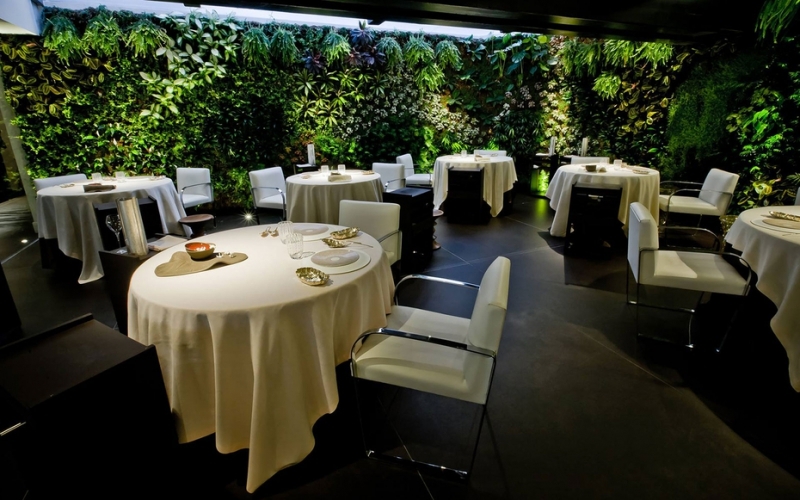 Gastronomes visiting Spain's Costa del Sol still have a few more weeks to try celebrated chef Dani Garcia's Once Upon a Time menu at his eponymous restaurant at the Hotel Puente Romano in Marbella. For more than a decade, Garcia has been the go-to authority on Andalusian authenticity in the kitchen and as a native malagueño, he is the first to admit that the region's culinary traditions long suffered for the sake of serving the area's thriving tourism market. But that is changing, as both local chefs and a more educated class of visitor want to explore the region’s bounty -- both from the farm and the sea. To this end, Garcia's current storybook tasting menu showcases both the most basic, elemental flavours of Andalusian products (such as tomatoes) that may re-kindle early childhood taste sensations, as well as offering epicurean flights of fancy (imagine "pencil shavings" of foie gras) that one may dream of as an adult. For several courses of the 20-dish menu ($187 EUR, without wine pairings), diners are brought into the kitchen to see how things are prepared and to interact with the staff. If you're more of a two-plate kind of diner, there is also an à la carte menu from which one can sample some of Garcia's most successful interpretation's of Malaga's traditional fare (like cherry gazpacho with sardines and a "snow" of minutely grated cheese, or perfectly fried sea bass with a tart green peppercorn sauce). ...and if you won't be getting to the Costa del Sol before the end of summer, not to worry: Garcia will inaugurate a new menu in September that will no doubt tell a whole different (seasonal) story.